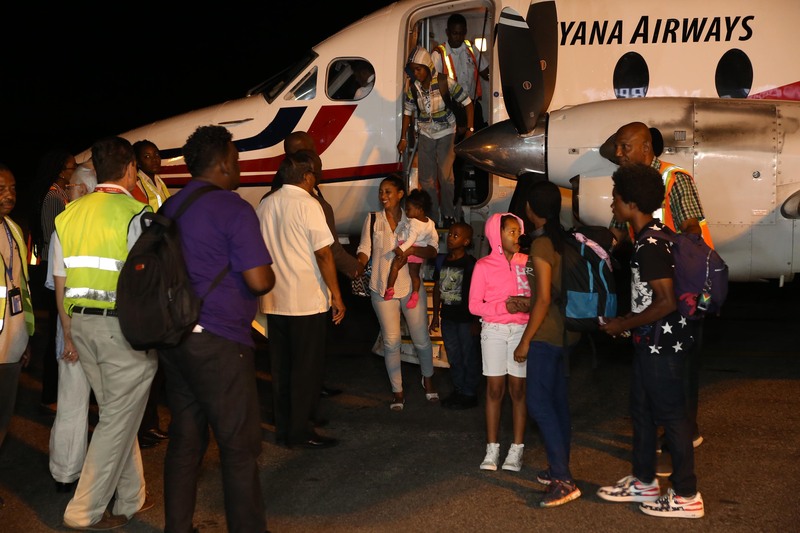 Ten Guyanese returned home from the hurricane-hit British Virgin Islands (BVI) last night aboard a Trans Guyana Airways flight. The flight, which landed at the Eugene F. Correia International Airport at 7.30 pm, brought three adults and seven children, who were welcomed by State Minister Joseph Harmon, Citizenship Minister Winston Felix, Civil Defence Commission head Chabilall Ramsarup and representatives of Trans Guyana Airways. Harmon noted that it was the second flight that has brought Guyanese home. 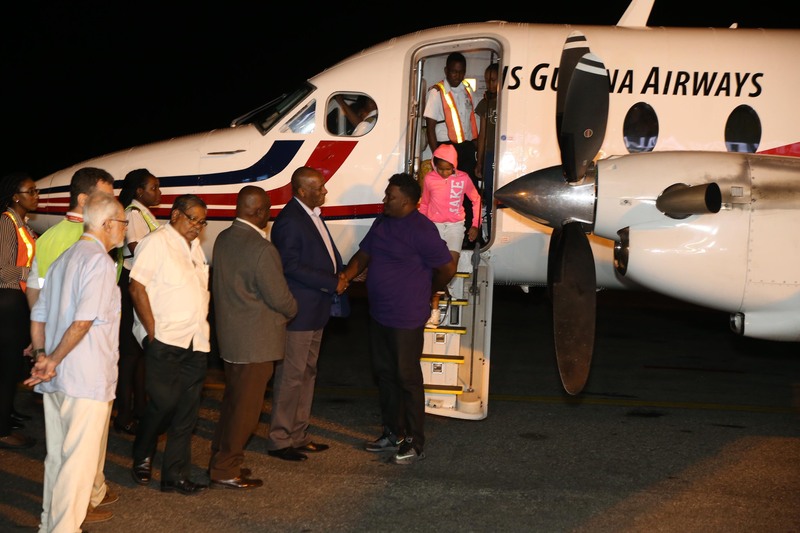 He said that in the coming days there will be more flights facilitated by Trans Guyana Airways and Jags Aviation to bring Guyanese home. Four flights are expected to return today with Guyanese citizens from St Maarten and the BVI. Harmon further said that as word got around St Maarten, the returning number of Guyanese jumped from 43 to 116. 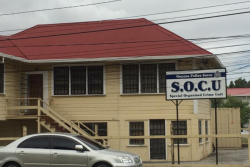 “We understand that would have happened and people have a clear understanding that the Govern-ment of Guyana, the people of Guyana, working with the private sector, we are going to do everything in our power to ensure that our citizens are cared for and they are given level of comfort, and are able to be reunited with their families,” he declared. 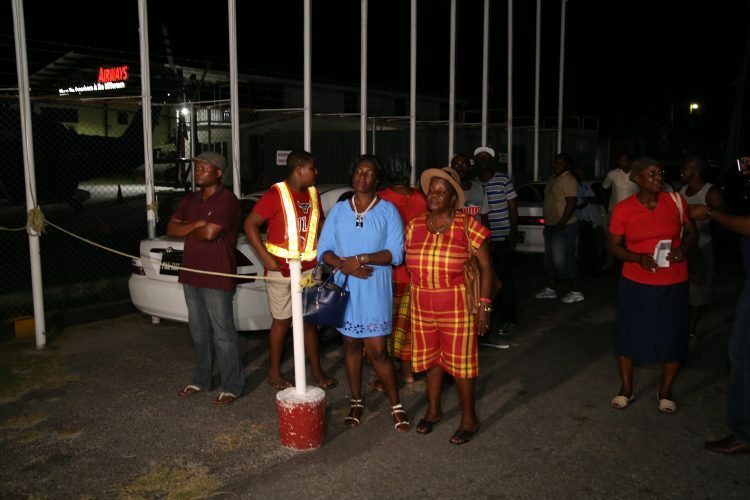 Guyanese family members at the Eugene F Correia International Airport waiting on their relatives who were evacuated from the Hurricane-hit British Virgin Islands. 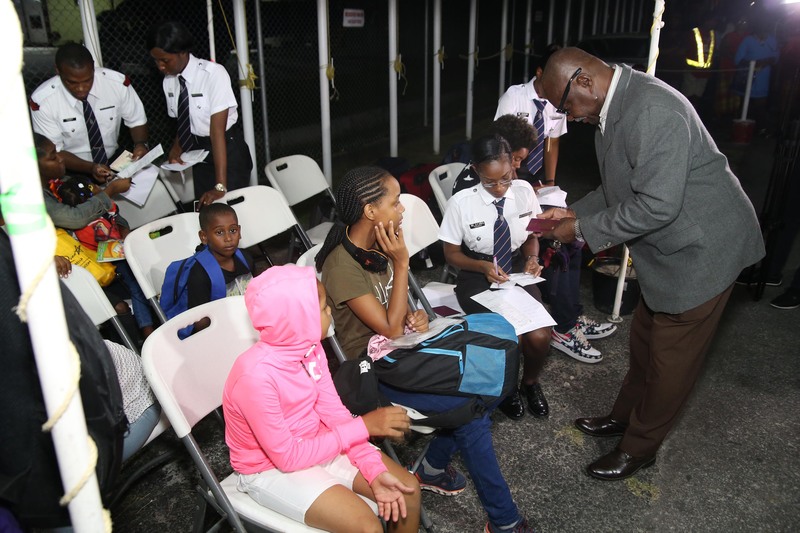 Guyanese citizens who were evacuated from the British Virgin Islands last night. They arrived on a Trans Guyana Airways flight. 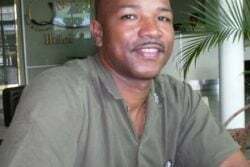 Randy Ragnauth, son of Derek Ragnauth, the Guyanese businessman who perished in the hurricane on BVI. 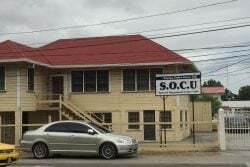 Additionally, Harmon stressed that returning citizens who do not have any relatives or place to stay would be given accommodation at the Hugo Chavez Centre in West Berbice. Meanwhile, Felix explained that his ministry is focused on assisting citizens who lost their personal documents. He noted that they are also focused on getting the right documents for children who need to attend school. Among those who returned was Randy Ragnauth, son of the Guyanese businessman who perished in the BVI, Derek Ragnauth. Randy Ragnauth told reporters that it was devastating for him and his sister after they found out their father had died. “I experienced storms before but not like this; this was way beyond our imagination, everybody underestimated it,” he said. He recalled that he was at his sister’s home, which had hurricane shutters, when the storm began. “When it started, it created a huge hole in the front door, we ran to the bathroom and we stayed there for two hours. When the first part pass, we tried to get out of the house. When we open the bathroom door, the entire house was destroyed. We went to a shelter and at the top of that was destroyed,” he recounted. Randy noted that his father had stayed behind at his business and the next morning they learnt of his death. “The next morning, when we went to the house, we saw some people who were coming from the direction of where my father was and asked what is going on there and they said two persons died in that area. When we asked who was it, they said is the guy that had the business and he is a Guyanese. That was devastating. I went and check to see if that was him… unfortunately my dad was not able to make it,” he said in a shaken voice. 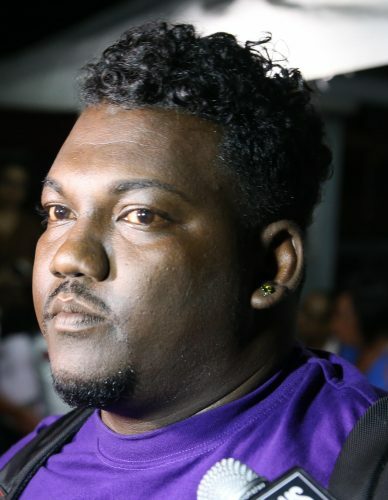 Asked about his plans, Randy said he would be returning to the BVI after the burial of his father. 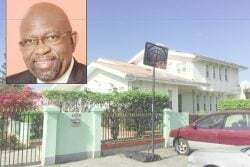 He noted that he is still employed at the British Virgin Islands Electricity Corporation. Another Guyanese, Rhondalisa Flatts-Gill, of No.5 village, West Coast Berbice, said the hurricane was not an experience she would like to face again. Recounting the day of the violent storm, she said she was home with her daughter, husband and mother-in-law and they felt the breeze. “We thought to ourselves this hurricane makes no sense because there was slight breeze,” she noted. 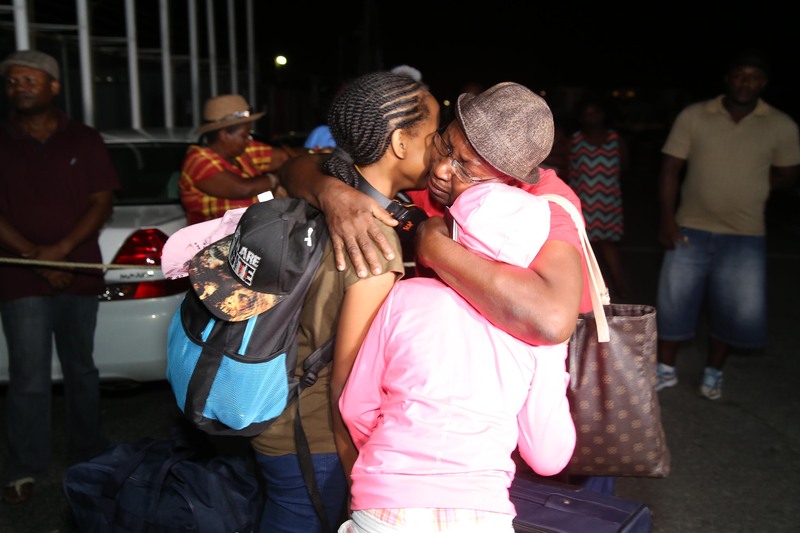 The mother of one, who had recently returned to the island after vacationing in Guyana in August, said when the eye of the hurricane had passed, she returned to her apartment and collected her suitcase along with documents and returned to the neighbours who rescued them. The government is working to have the flights returning Guyanese home completed by this weekend. Shipments of food supplies are also being transported on the flights to the islands. Harmon last night said 3,300 pounds of food were sent to the BVI and distributed.